MediaWorks’ Bravo facelift for Four won’t extend to an HD makeover. The broadcaster today confirmed the new channel, which will replace Four in July, will be SD only. That’ s not surprising given the wall-to-wall reality schedule will be of niche appeal only in the free-to-air world (in other markets its reach is limited to pay-TV). But the good news for HD fans is some Four staples will graduate to TV3, ranging from comedies like New Girl and Fresh Off the Boat to children’s shows. However, there will only be a handful of these as Four has been increasingly dominated by reality and movies since the loss of key Fox shows like The Simpsons and Family Guy. Indeed, some of Four’ existing series, like Top Chef and Million Dollar Listing, will continue on Bravo. While it’s exciting to see a Hollywood heavyweight partner with a local broadcaster to create a themed channel, even in SD, it’s a pity the NBCUniversal International Networks deal relates to Bravo and not one of its movie or mystery services (like Studio Universal or 13th Street). The Bravo announcement coincides with an avalanche of bad press about the running of MediaWorks and the loss of top talent, with Hilary Barry being the latest to announce her exit. Auckland – May 3, 2016 – MediaWorks and NBCUniversal International Networks today announced the formation of a joint venture (JV), which will transform channel FOUR into leading entertainment-lifestyle brand Bravo, in July 2016. Bravo New Zealand will become the premier destination for premium unscripted programming, focused on the brand’s unique passion points of glam, design, food and pop culture. Some of the most popular international franchises will call Bravo home, including: Million Dollar Listing (New York & Los Angeles), Top Chef (Duels, Masters, Just Desserts & All Stars) and The Real Housewives. In addition, popular series Vanderpump Rules, Flipping Out, Southern Charm, Shahs of Sunset and Made in Chelsea will form part of the programming line-up. New series premieres in 2016 include Tour Group, Below Deck: Mediterranean, Après Ski, The Real Housewives of Potomac and The Real Housewives of Dallas. As part of the announcement, Bravo made the exciting revelation that it has commissioned The Real Housewives of Auckland, the local version of the global smash-hit franchise. For the past five months, NBCUniversal International Studios’ production company Matchbox Pictures – responsible for creating the popular The Real Housewives of Melbourne – has been searching for New Zealand’s very own group of privileged ladies keen to showcase their fabulous lives to the world. The series will premiere in August 2016, exclusive to Bravo. Bravo New Zealand will be headquartered at MediaWorks’ Mount Eden offices. 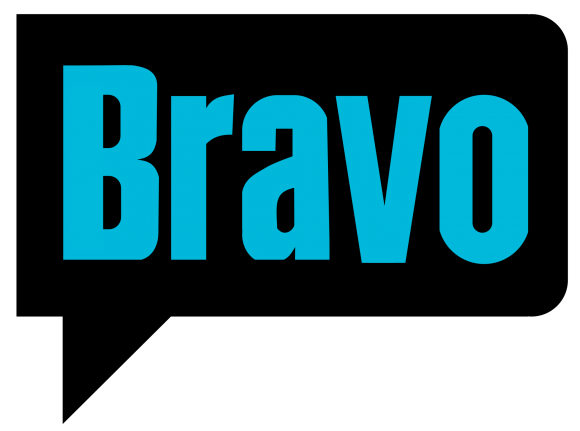 “The Bravo brand has been one of NBCU’s breakout successes of the last decade. It has a coveted advertiser audience with highly talk-able, engaging content that plays well on TV, and has substantial catch-up viewing audiences playing well into the binge-watching trends of our time. “We are delighted to introduce one of the most popular TV brands in the U.S. to New Zealand – and we look forward to partnering with Mark and the MediaWorks team to bring this exciting channel to life,” commented Chris Taylor, MD, New Zealand and Australia, NBCUniversal International Distribution & Networks. “Asia-Pacific is an important growth region for NBCUniversal International and we are extremely pleased to have the opportunity to invest further in New Zealand,” commented Belinda Menendez, President, NBCUniversal International Distribution & Networks. Cue the outrage that there is a female-skewed channel. I wonder if the column-inches on Bravo’s skew will match that of Duke’s when TVNZ announced the male-skew line-up? Bravo is a perfect fit for the current management of MediaWorks “Reality TV Rulze” Looked at FOUR’s schedule today. All repeats..
There’s a reason that Bravo has only ever been an’cable’ station, nobody watches it! It will fail quicker than 4, as it will have to rely on advertising, rather than subscriptions. Can you confirm those titles will migrate to TV3? I need to know where Bob’s Burgers is going! Can’t confirm yet — but MediaWorks says it will soon disclose plans for Four shows that don’t fit the Bravo format. There may be some series that MediaWorks simply doesn’t relicense post-Four or it may beef up 3Now, as TVNZ’s done with OnDemand, with streaming exclusives that previously would have aired on Four. If they do that, hopefully they’ll improve the streaming quality, which is just abysmal in this age of Netflix, Lightbox and TVOD. Big problem that I have with on-demand service is that apart from a PC or tablet there’s no way to watch it. I want to watch it on my TV. I’d try going to a Chromecast but last time I tried it didn’t work as TVNZ and MW think that it is piracy to stream to a Chromecast. I see in the news this morning that MediaWork’s CEO Mark Weldon has quit. Maybe he didn’t have the board support he thought he had. Perhaps, but presumably he was working at the board’s behest. Here’s probably the best analysis, from the perspective of someone who witnessed his performance up close from inside the company. Can’t wait for tonight’s NewsHub … Stuff has published Hilary and Mike outside TV3 with a bootload of drinkies! Great news for reality show junkies and Housewives fans. There is definitely an audience for The Housewives especially with daytime run on TV3 topping their daytime ratings. I just can’t help but think after having 3 output deals at MediaWorks NZ, they still weren’t able to turn FOUR around. The young are moving online but surely they still need a broadcast channel. Does anyone know what this means for FOUR Plus 1? Does it become Bravo+1? Hi Philip, any word on what will happen to FOUR+1 after the rebrand? Does it become Bravo+1 or are MediaWorks planning on launching another channel for kids or news. Be interesting to see what MediaWorks do with the spare frequency. Hi Leo. Bravo and Bravo+1 will replace FOUR and FOUR+1. Bravo content will also be available on 3NOW. Thanks, Philip, for your reply. I was hoping they would utilise the spare channel for something else.